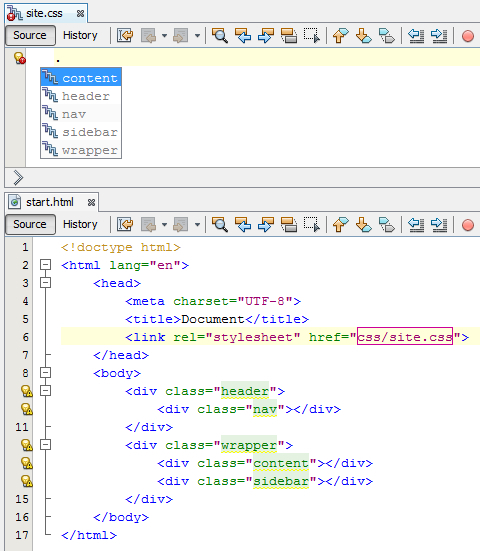 I would like to see the list of all HTML elements' attributes in linked CSS file like selector hints (like in Netbeans), but cannot guess how to do this. - NB screenshot attached. - Can anyone share with me with an appropriate solution? Thank you for the reply. - To create css selectors right from html file is a brilliant way, however, I cannot go via Alt-Enter anywhere further than 'create selector'. - I am stuck with this step.